MAXIMUM VOLUME MUSIC is thrilled to exclusively premiere the trailer for the brand new video from pop punkers Send Request. The band are rooted in their hometown – and here they are giving their perspective. 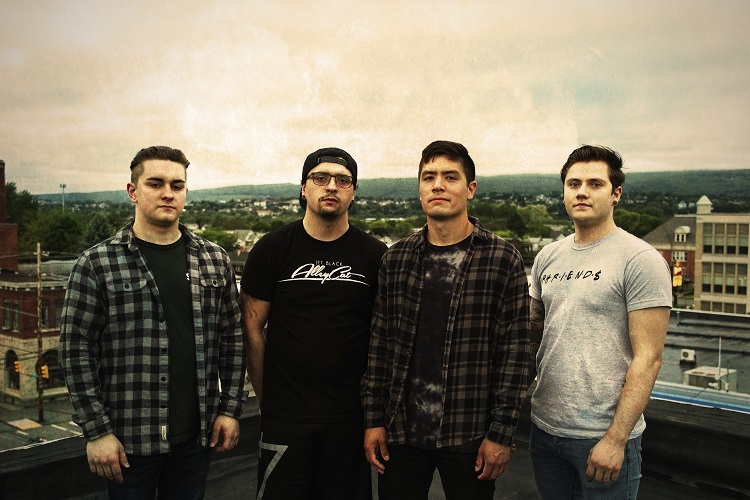 SEND REQUEST was born in 2013 as the creative conglomerate between Andrew Blank, Derek Holminski, Aron Wood and Jon Labenski, and since then they have grown from a driven, plucky pop-punk upstart project to a full-fledged force to be reckoned with. Since their inception, the band have unleashed routine testaments to their growth, from their debut effort, ‘Beyond the Ordinary’ in May of 2014, the critically acclaimed follow-up ‘Make Your Move’ the following summer, to ‘Anymore,’ released June 2016, building a style and sound that is all their own and a dedicated following to match. SEND REQUEST have been steadily supplying the underground with new, original and energetic music in combination with a frenzied live performance and an unstoppable do-it-yourself work ethic. Taking splashy, energetic and enthusiastic energy and mixing it with stark, earnest emotion atop a canvas of creative, catchy instrumentation, the band blend elements from alternative rock to pop and beyond to create an infectious listening experience. Now, in combination with SharpTone Records and on the brink of a new record, SEND REQUEST are poised to make the leap from local heroes to a truly uplifting 2018 underdog story.